Flushing out the old coolant is the best way to keep the dirt out of the radiator, which ensures your Toyota 4Runner stays as cool as possible. This article applies to the Toyota 4Runner (1992-2002). Flushing out the radiator is an easy, yet important, piece of maintenance. Overtime, your Toyota 4Runner starts collecting dirt and grime inside the radiator. 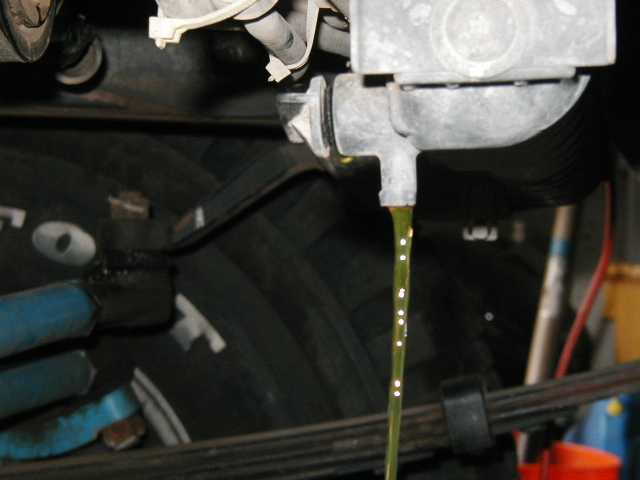 Also, the old coolant can start deteriorating after a while, which can affect the running temperature of the engine. If you've never replaced the radiator's coolant, or if you've never flushed the radiator, this is a must for you. If you have 30 minutes to spare and you love your vehicle, then read on to learn how to flush the radiator on your Toyota 4Runner. If there's a cover under your radiator, remove it by removing the bolts holding it in place. Place your drain pan under the radiator's drain plug, which is located on the passenger side of the radiator. Turn it counterclockwise to drain the radiator. Close the radiator's drain plug, then fill the radiator with distilled water. Drain the distilled water the same way you drained the coolant. 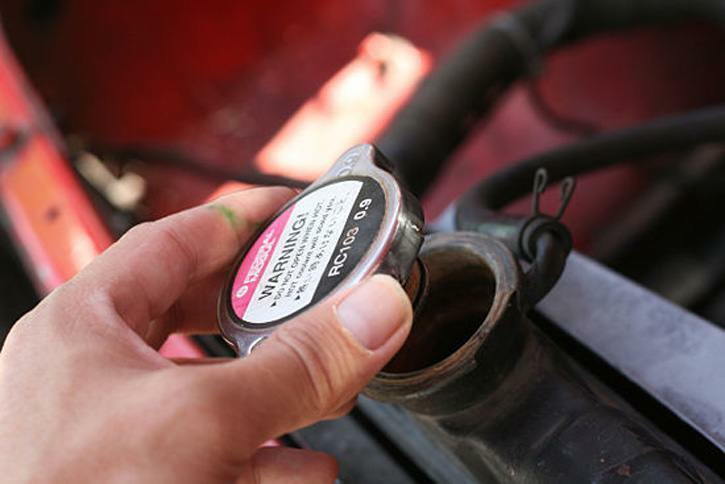 Repeat this process two times, or until the water comes out clean and then reinstall the radiator drain plug. Figure 2. Fill and flush the radiator until water comes out clear. Fill the radiator with coolant. When it appears full in the radiator, start the car and let it run for a few minutes, then check again. 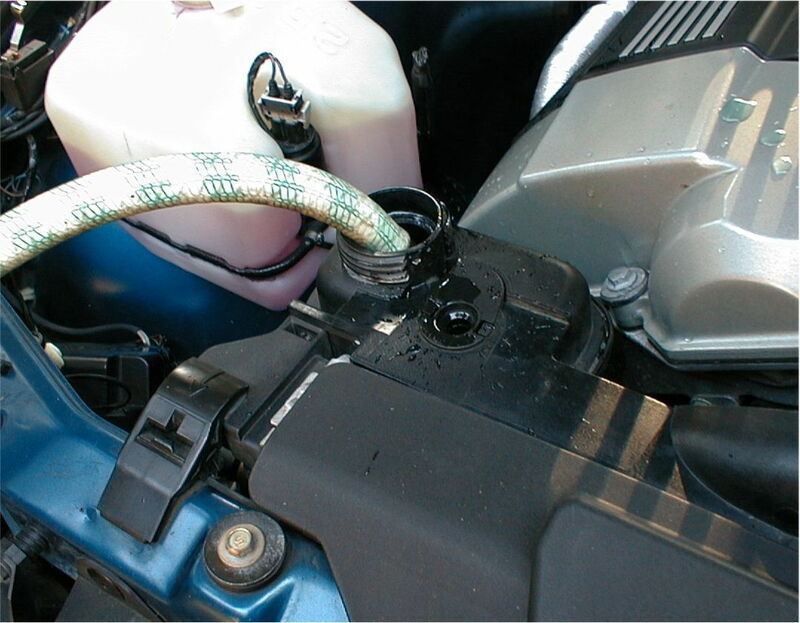 The coolant will get lower when you start the engine, so add more until it's full. By leaving the cap off and running the engine, the cooling system is forcing any trapped air bubbles out of the system; hence, the coolant level dropping as the car runs. This process usually takes about 10 to 15 minutes to fully bleed the cooling system. Figure 3. Fill radiator with coolant.